The Acme Volume Impression® lends a ton of depth to the Acme suite. Why? Well, impressions are one of the only ways you can really “see inside the bars.” Buying and selling pressure are much easier to spot when it’s right there in the numbers. The Volume Impression® makes pressure imbalances obvious and precise where range and candle patterns can be ambiguous and even misleading. The Volume Impression® really is the perfect compliment to the Volume Profile and Volume Breakdown studies. This one has most everything you’d expect of a top-notch volume analysis chart. 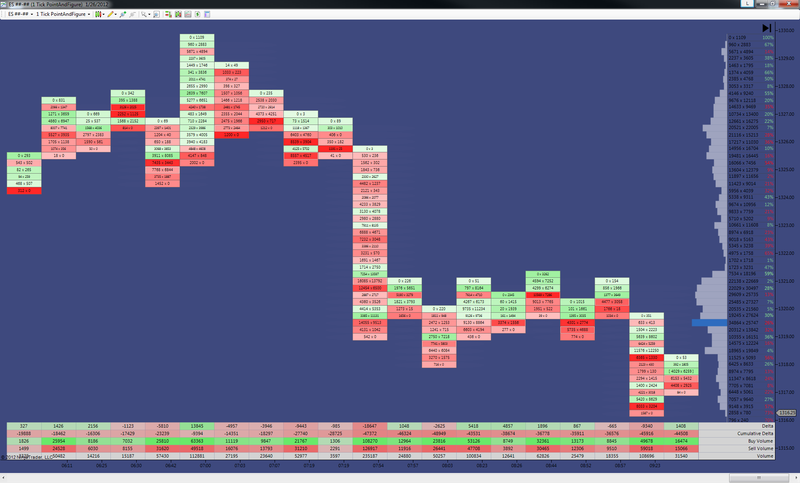 Commonly described as a “footprint chart” (see bottom of page) the AVI’s design focuses on clarity and simplicity with the goal of supporting very quick trading decisions. Moreover, it is very flexible in terms of look and feel and you can configure it to match pretty much any visual style you can dream up in Ninja. Your choice between bid/ask and up/downtick evaluation strategies. 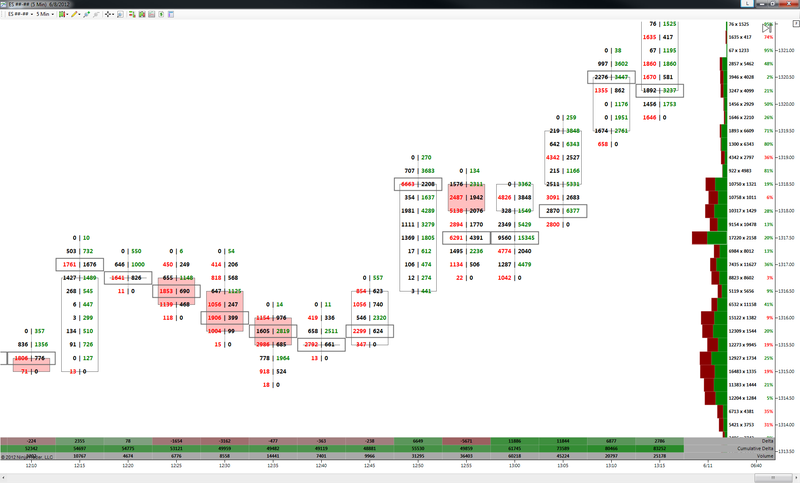 However, when using bid/ask evaluation, historical bar Impression breakdowns will not be displayed and those bars’ volume won’t be included in the profile or ladder. 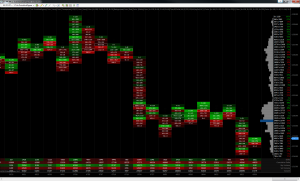 Footer displays the bar delta, session cumulative delta, bar buy and sell volume, and the total bar volume. Each footer row can be individually turned on or off, depending on what information is important to your personal trading style. For advanced users who wish to filter out prints below a minimum size, a new minimum tick size filter is available and a number re-scale option is available as well for high-volume instruments and/or a more compact display. Multiple per-price breakdown coloration styles – solid, split and numbers only. 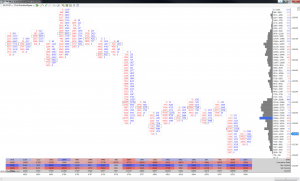 Supports split numeric coloration with diagonal imbalance buy/sell comparison. 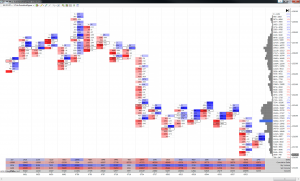 Many volume at price display styles – Buy & Sell, Delta and Total Volume. The separator charter is also configurable for buy & sell styles and choices include the traditional “x” as well as a dot, square, diamond and others. 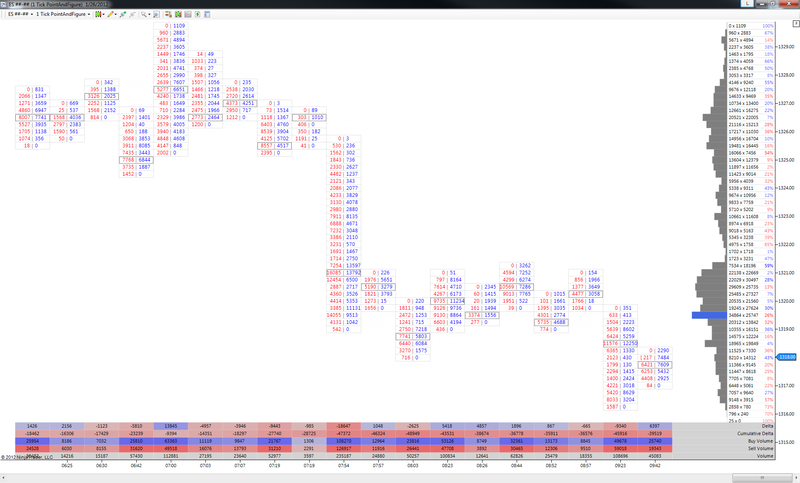 Breaks down the buy and sell volume in a ladder just to the right of the volume profile in 12345 x 54321 format. Sell volume is on the left, buy volume on the right of the x, with multiple styling options – all statistics visible, sell vs buy only, sell/buy imbalance only and none. 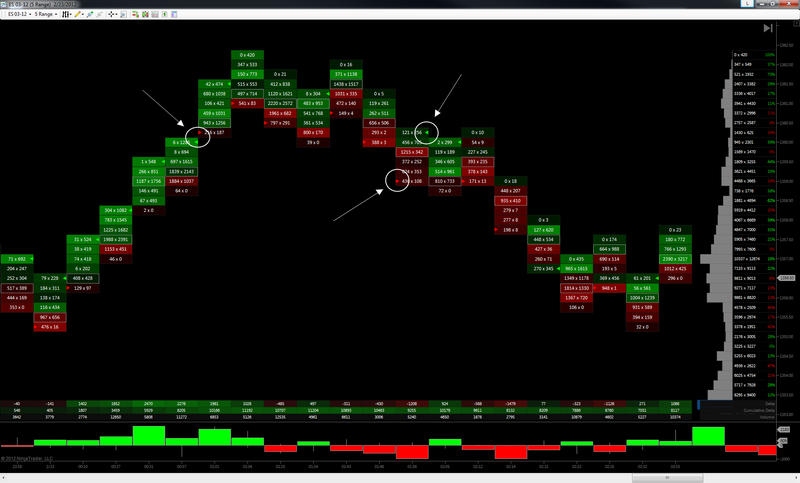 In BidAsk mode, the AVI marks “open prints” with an arrow on the buy or sell side, with optional “naked” price lines, depending on which is dominant. 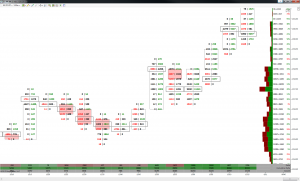 Open prints – sometimes also referred to as “unfinished business” – are when there is volume greater than zero on either the buy or sell side of the price at the top or bottom prices of the bar range. 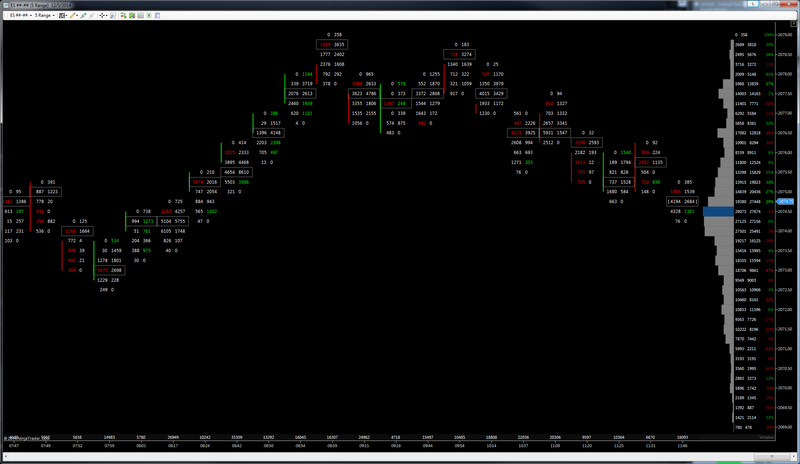 Many traders view these “open” or “unfinished” prices as ones which are likely to be revisited in the near future. 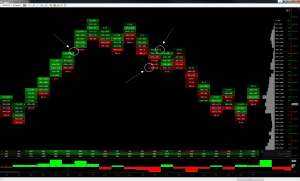 Open prints/unfinished business markers have audio alerts for both the buy and sell sides. 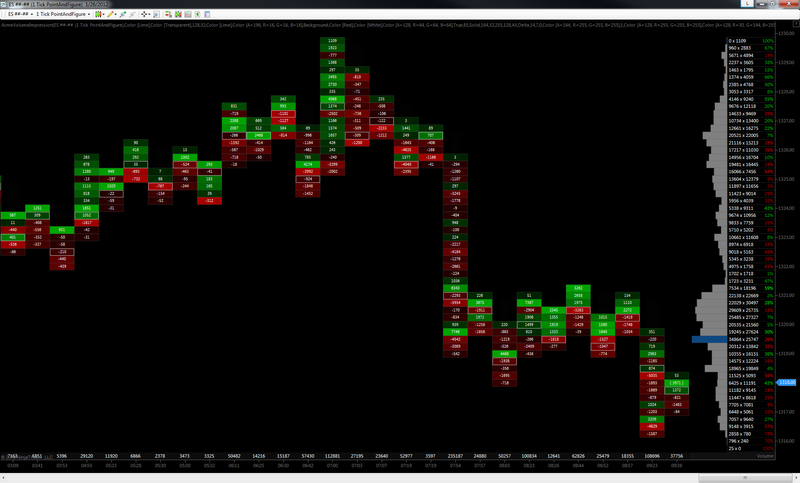 The session profile can be displayed as either a monochrome histogram or with dual proportional buy and sell colors. Volume buy and sell totals can be rescaled by 1000 or 10,000 with (or without) one decimal point of fractional precision. 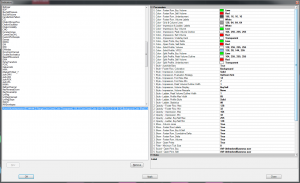 This can be extremely useful when monitoring order flow in very high volume instruments. 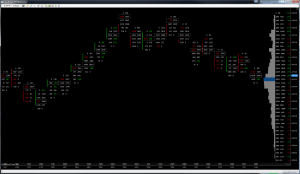 Works with any built-in NinjaTrader 7 bar type, including point & figure. Minimum and maximum font sizes can be specified for the price-level display. 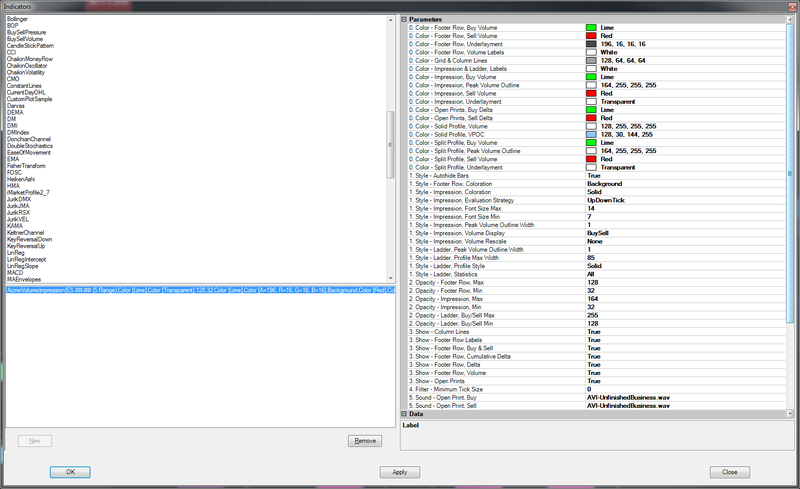 The session volume profile can be turned on and off with a parameter. Bar open-close range, often seen as a candle body, can be optionally displayed on each bar to the left of the volume information. 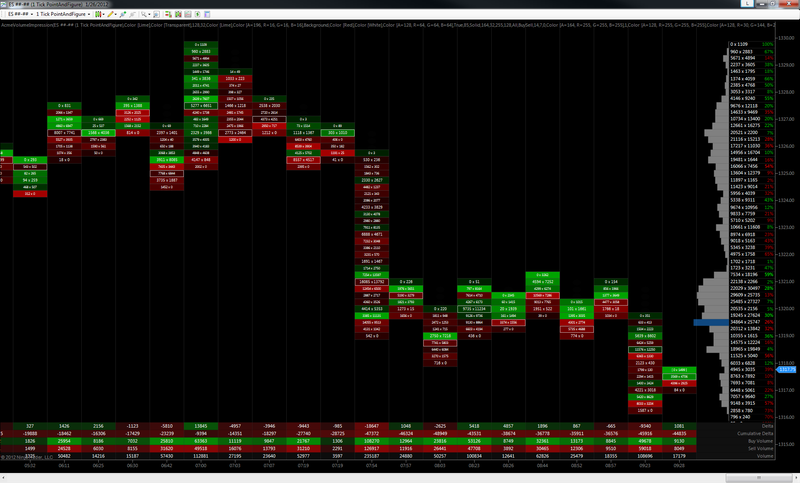 Displays the per-bar delta, cumulative delta, total buy and sell and and the total volume for that bar on the bottom of the chart. As per the Acme way, all colors are configurable so it’s compatible with virtually any chart color scheme you can dream up.